Set within a beautiful mature garden our clients loved the setting of their new house, but the existing layout with a series of smaller individual rooms, wasn't working for them and the way they lived. 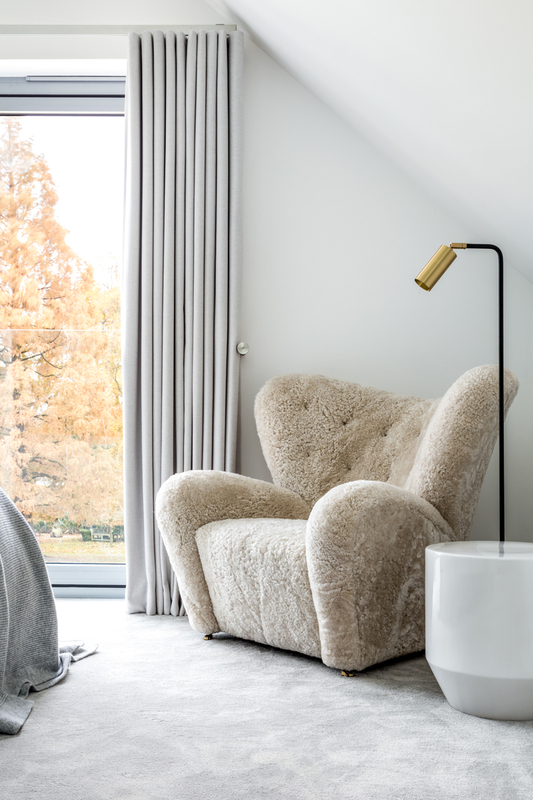 As a very sociable family, we had a brief to create a contemporary house with large open spaces to gather together with all their friends whilst also to feel cosy enough when it was just them together as a family. With three active children the house also needed to offer the felxibility of separate spaces for when this was required. 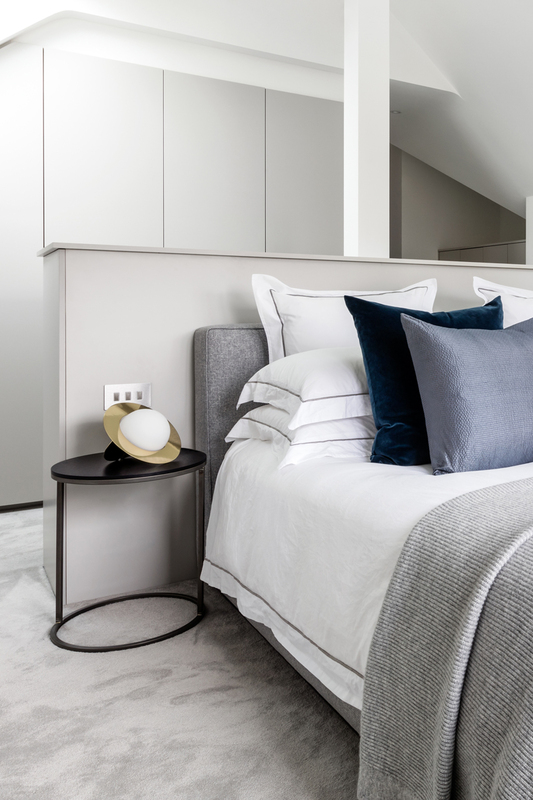 For the bedrooms we chose an elegant calm palatte of greys and whites with accents of brass and blue. 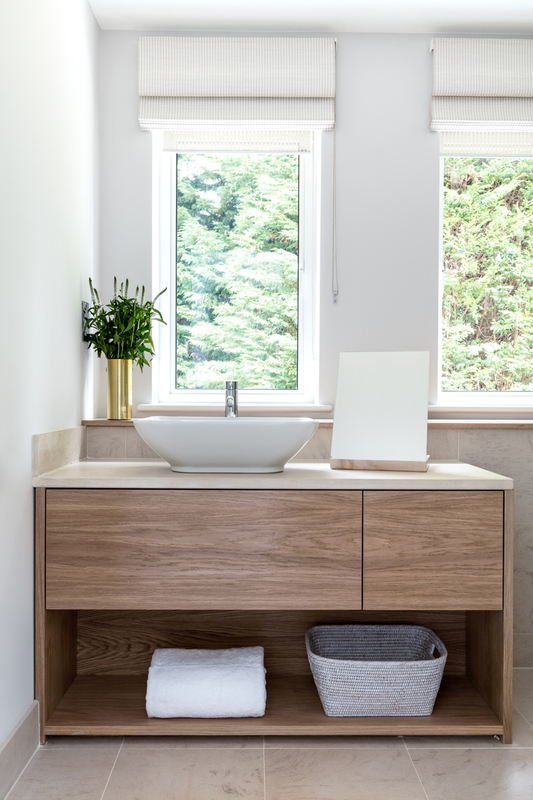 We designed bespoke joinery for each of the rooms to compliment the spaces. We designed bespoke joinery for all the children's bedrooms, with desks and wardrobes cutomised to work with each scheme. 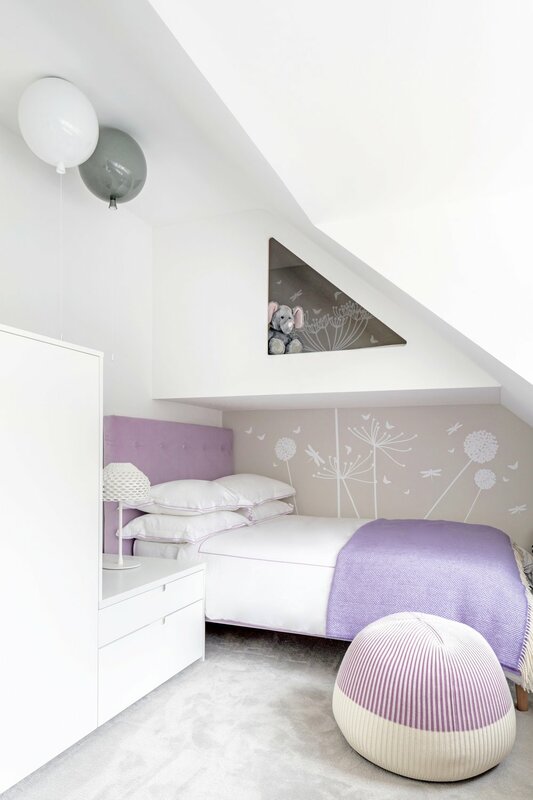 For this little girl's bedroom we created a cosy play nest above the bed which is accessed by a ladder. As well as a perfect nook for playing and reading it also has a matress making it a great place for sleepovers.